Cleveron will be supplying Finnish postal operator Itella with parcel lockers. 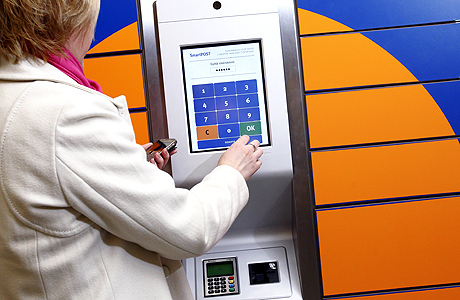 The goal is to support Itella’s plan to quickly expand its self-service parcel locker network in Finland and Estonia. Cleveron will need to cater for the growing demand. Itella intends to double the number of parcel lockers in Finland. They will expand during the course of 2012, bringing the total number up to 100. The Finnish postal operator has also announced an agreement with Kesko, a Finnish retailing conglomerate. They will install parcel lockers in all the existing and future K-citymarket chain stores by the end of 2013. There are currently 75 K-citymarkets in Finland. says Aku Happo, vice president of Itella Parcel Services. Happo sees the partnership with Cleveron vital in the expansion. Cleveron has the experience in implementing and operating the business model. It’s not only technology and lockers. Rather the complex solution that Cleveron has developed and put into practice, which will enable us to grow our customer base, Happo explains. Estonian-founded Cleveron’s technology that powers Itella’s parcel lockers has witnessed quick adoption in its home country. In only three years, the deliveries through the self-service parcel lockers have grown. These deliveries constitute up to 50% of the total e-commerce parcel market in Estonia. With deliveries in Estonia almost doubling in 2011, Itella is also looking at expanding the network in Estonia. By the end of 2012, Itella expects to grow the number of self-service parcel lockers in Finland and Estonia to a total of 162. Cleveron’s export director Indrek Oolup sees e-commerce as the reason behind the rising popularity of parcel lockers. Self-service parcel lockers use SMS notifications for customer communication. Oolup argues that with parcel lockers strategically placed on customers’ everyday routes, modern-day parcel services are able to provide the flexibility and swiftness that traditional postal services are lacking. This is backed up by the fact that several European postal providers are in the process of closing down a significant number of their post offices. The number of online buyers in Europe expects to grow from 157 million in 2011 to 205 million by 2015. Oolup sees more and more postal service providers turning to automated parcel lockers. Cleveron offers parcel delivery solutions for postal service providers in all developed markets. The company was founded in 2007 in Estonia. Currently Cleveron’s solutions are used by postal operators in Finland, Estonia, Russia and Ukraine.